I’ve been covering major league baseball for nearly 24 years and I must admit something: I can’t follow these new “underdog” teams. I was spoiled, right out of college (American University) in 1986. This geeky-looking brat started covering the NBA World Championship between the Houston Rockets and Boston Celtics. Growing up and working in Hartford, Connecticut, also gave me the opportunity to cover the infamous Bill Buckner error in the 1986 World Series between the New York Mets and the Boston Red Sox. However, in the early 1990s, my MLB assignments started to shift to more National League games and, suddenly, I was closely following the likes of the Los Angeles Dodgers, Pittsburgh Pirates and, more importantly, the Atlanta Braves. yield award-winning content. However, Hall of Fame pitcher John Smoltz always kept the media alive and alert with his unpredictable humor. Others like Tom Glavine, Mark Lemke, and Dale Murphy would take time to give the media some pretty good nuggets. goings, you might not know Pitcher Mike Foltynewicz, catcher Tyler Flowers or Infielder Ozzie Albies. Former Manager Bobby Cox is long gone and most “common” baseball fans may not know of manager Brian Snitker. Now, we have to pay attention to this current Braves team and I really think they’ve built a solid nucleus that resembles the early years of those pennant chasing teams of the ‘90s. Are they going to win their first World Series title since 1995? Probably not. However, this year’s 40-man roster is filled with go-getters and hungry to-win-players that know how to work with each other, and that means a lot in today’s world of championship teams. Today’s roster of Braves pitchers does resemble the same, young, inexperienced group from the 1990s. Who knew the roads to the Hall of Fame were going to be paved for great like Maddux and Smoltz? The same underdogs maybe said for Foltynewicz, Sean Newcomb or even Jonny Venters. During a pregame workout at the 1992 World Series in Toronto, Smoltz and Maddox were in the locker room talking to a bunch of reporters and told us that the greatest mistake people can make is selling short a young, eager, “bunch of no-names” on a team that’s out there to win. 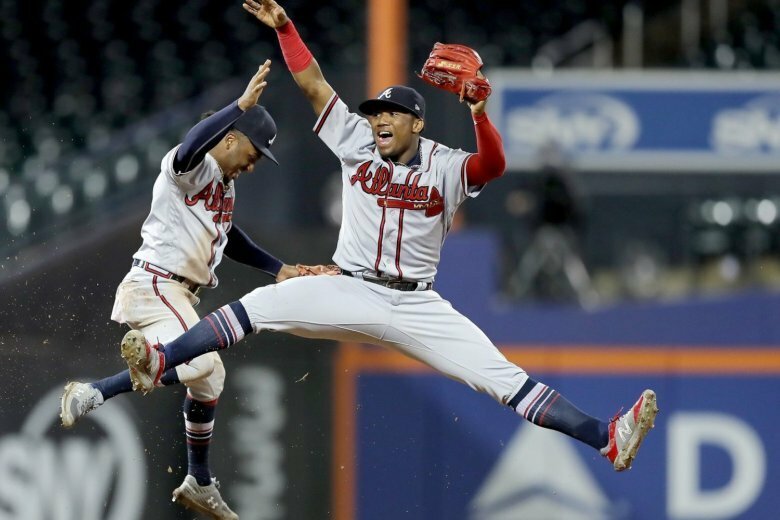 Even though that Braves’ team fell short to the Blue Jays, losing 4-2 in the 1992 World Series, the 2018 Braves fall under the very same category and cannot be ignored to at least to reach the NLCS.